The beer world can be tricky to navigate when your only exposure to beer has been the cheap gas-station beer you used to drink in college. If you’re reading this, odds are you’ve grown tired of looking at craft beer lists without knowing what any of their descriptions mean. 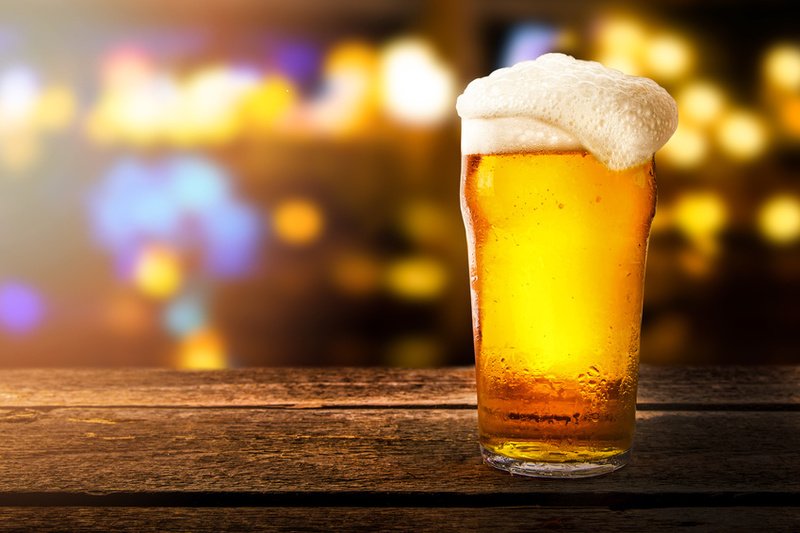 To help you get a better understanding of different types of beer and to help you find types you like without having to try-and-fail, here’s your ultimate guide to beer drinking for the non-beer drinker. What can you expect from the taste? There are three common ingredients that are used when making beer. These ingredients include yeast, hops, and barley. The flavor of the beer will be different depending on the balance of ingredients in the beverage. Yeast. Yeast provides spicy, fruity, or neutral flavors. Hops. Hops come in different types and provide flavors like citrus, herbal, piney, earthy, floral, or tropical. Barley. Barley creates the sugar that yeast turns into alcohol during the fermentation process. It creates grainy flavors like coffee, chocolate, caramel, and dark fruit. You may have heard that “hoppy” beers are bitter, but this isn’t always the case. Hops make a beer bitter if it’s added before the fermentation process. Something else that’s important to know is that “malt” is the term used for barley that’s specially prepared to be used in the brewhouse. What are the different types of beer and what do they mean? Pale ales. Typically light in color with hoppy bitterness and flavor. Amber ales. Usually amber in color with barley flavors. Brown ales. Also known as porters, these beers have deep barley flavors and low alcohol content. They aren’t often bitter. Stouts. Similar to porters, but usually have a roasty flavor. They can range from moderately sweet to bitter. Wheat beers. Similar to pale ales, wheat beers can either be fruity, spicy, or have a fresh bread-like aroma. Looking for a craft beer pub to expand your palette? The discovery of new beers is popular with 84% of craft beer consumers, 88% domestic beer consumers, and 93% of imported beer drinkers. If you’re looking to expand your palette to craft beer while enjoying premium burgers, Dead Presidents Pub is the place for you. Most craft beers range from five to 10% ABV and we have plenty of types for you to choose from. For more information on our craft beer list and premium burgers, or to learn more about our party catering service, contact Dead Presidents Pub today.